Ringroamer - A booth that roams with you! Check out our brand new photo booth! Instead of you going to a designated area, this booth comes to you! Shakar Booths - Lets Party! 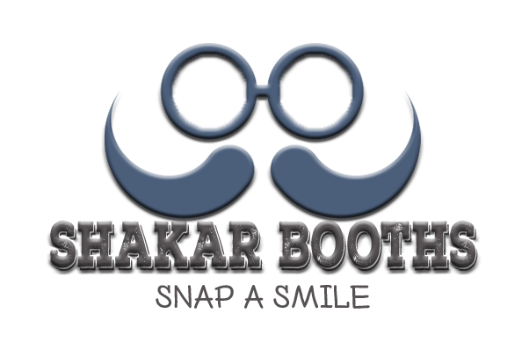 Shakar Booths is a part of Shakar Photography, owned by a husband and wife team Ambreen & Shalin Zaveri specializing in Wedding, Children and Family photography. We are based in Little Elm, TX and provide open air photo booth and green screen booths in the Dallas Fort Worth and surrounding areas. We travel to most cities within 6 hours of driving distance from Little Elm, TX such as Oklahoma, Waco, Houston, Austin, San Antonio and more! Our Open Air Booths are set up more like a portrait station with elegant backdrops and plenty of space to fit big groups. So don't be shy, bring your family and friends with you and lets make fun memories! Our Green Screen Photo booth is set up exactly like our Open Air booth except with a green backdrop allowing us to drop in any digital backdrop! You imagine it, and we can take you there! How many times do you go to a wedding or event and forget to go to the photo booth or don't even know its there because you are too busy dancing? This is our brand new booth that comes to YOU! We are a husband and wife team of photographers that own and operate Shakar Photography as well as Shakar Booths. We both love to cook, paint, play video games and watch lots and lots of movies! Shalin comes from an Information Technology background and is very technical and really enjoys managing and training our team of photo booth attendants and running the booth when he is available. Ambreen is the Artist of our team! She is behind the quality of our images from the photo booths, and will perfect every little detail to ensure we are providing best possible quality memories from our booths. We bring lots of energy and fun to the booths when we are available to run them. But we are the primary faces of Shakar Photography and if we are already booked for a date, we send one of our 4 super awesome photo booth attendants to party with you! Growing up with a father who is a professional photographer, he was surrounded by technology and photography gear. It was only a matter of time before he picked up a camera and realized he is primed for this! With a great attitude and colorful personality, he enjoys meeting new people from all walks of life. Him and Shalin have been family friends since childhood and now he is a part of our little Shakar Booths family! Jonathan has years of experience in photography and videography. He has been married for 29 years and has a teenage son. He enjoys fossil hunting, kayaking and spending time with his family. Operating a photo booth fits well with his helpful nature and fun personality. Have questions? Want to see if we are available for your event? Fill our your info. below and we will get in touch within 48 business hours.